HANDEL'S MESSIAH is as much a Christmas staple as Santa Claus and sleigh bells and, on Saturday December 8, Music For Galway presents this festive masterpiece at Galway Cathedral, performed by the Irish Baroque Orchestra. Joined by outstanding soloists and the wonderful Resurgam choir, IBO’s performance promises to be a glorious, unmissable occasion. 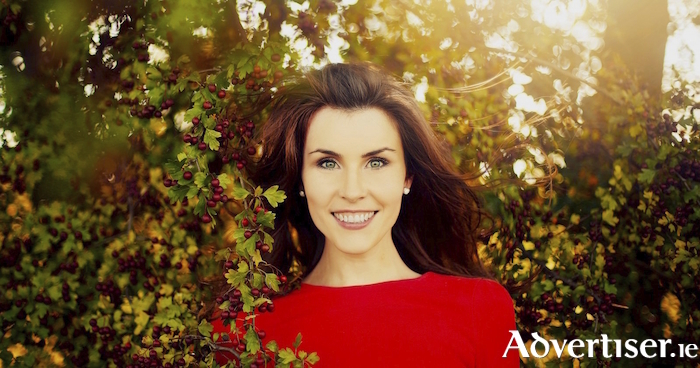 Among the illustrious soloists taking part in Messiah is Anna Devin, one of Ireland’s foremost sopranos. She spoke with me about her love of Handel, beginning with her memories of hearing and singing Messiah for the first time. As a self confessed classical ‘nerd’, does Devin take an interest in scholarly debates over how Messiah might have sounded in Handel’s day? “I am interested in it but I am not a very good reader as I’m dyslexic,” she replies. “I find stuff like that fascinating if someone is teaching it to me, but I don’t go around reading the history of everything I perform. I’m quite the opposite in a way; I like going into a piece as a blank canvas, particularly when I am doing opera. Devin has performed many of Handel’s works and has been praised for her ‘impeccable Baroque style’ (Bachtrack ). She explains her affinity for his music. “The thing I love most about Handel is that I feel I like am making music on the spot when I am singing his music," she says. "It feels natural; he wrote very well for the soprano voice and it flows really well. I also like the ornamentation; when Messiah was written you were allowed to be creative, so of all the composers with Handel you can be spontaneous. If some idea comes to your mind you can just sing it and Handel wouldn’t have minded because that is the way the music is, so I love that freedom in Handel and baroque music in general. Devin’s comments on improvisation call to mind the story of violinist Matthew Dubourg who played in the premiere of Messiah in Dublin, in 1742. Having a solo part, Dubourg wandered through complex modulations in an improvised cadenza and eventually returned to the theme. Handel cried out loud enough to be heard in the most remote parts of the theatre, "You are welcome home, Mr Dubourg." The Irish Baroque Orchestra Messiah will be directed by Robert Hollingworth and, as well as Anna Devin, other soloists include William Purefoy (countertenor ), Dean Power (tenor ), and Alex Ashworth (baritone ). Messiah will be performed at Galway Cathedral on Saturday December 8 at 7.30pm. Tickets are €25/22 via www.musicforgalway.ie, by phone at 091 - 705962, or from O’Maille’s, Shop Street.